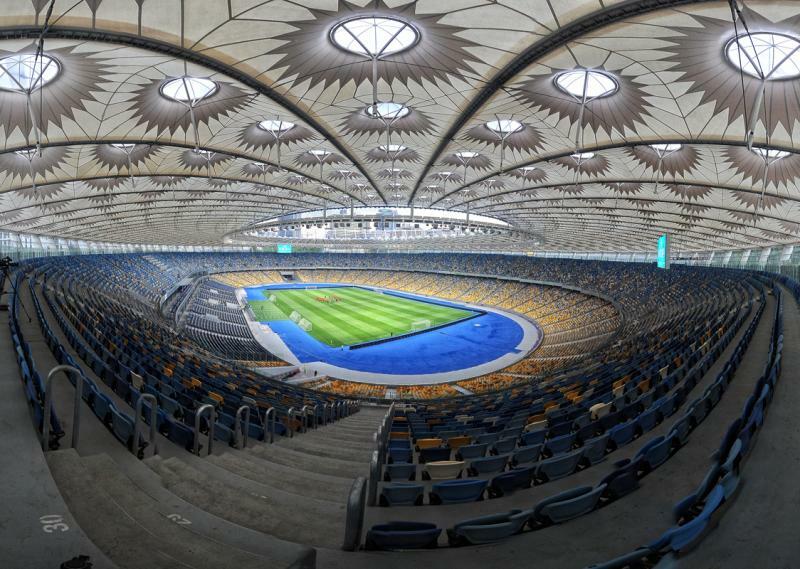 The National Sports Complex Olimpiyskiy, also known as Kiev Olympic Stadium, is the Ukrainian national stadium and home of FC Dynamo Kiev. 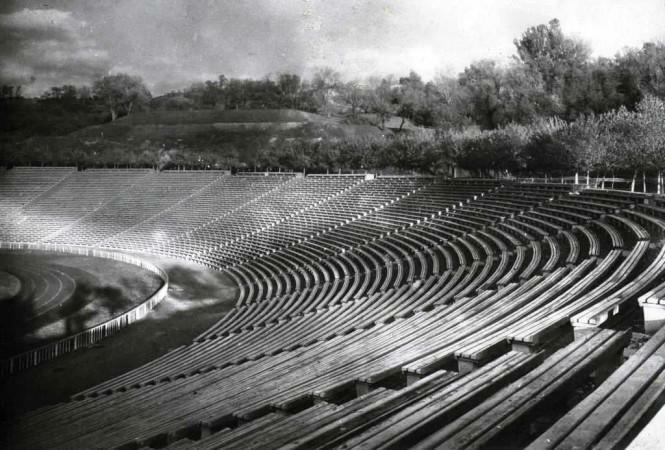 The Olimpiyskiy Stadium, then still called Republic Stadium MS Krushchov, was originally planned to open on 22 June 1941. 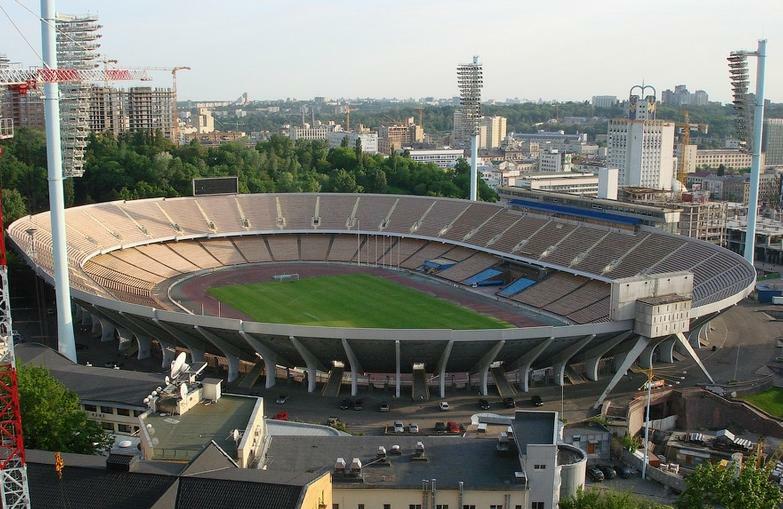 It had been built during the five preceding years at the site of the previous Red Stadium L. Trotsky. The opening match was scheduled to be between Dynamo Kiev and CBCA Moscow, however on the opening day the German army invaded Russia and the event had to get postponed. A few months later the Germans entered and occupied the city. Despite the harsh conditions, the stadium officially opened on 12 July 1942. When the Germans retreated one year later, it got heavily damaged and it took a year for the stadium to be repaired. On the 25 June 1944 it was reopened with the match that was originally planned to be played in 1941. In 1966 the stadium was enlarged with a second tier to a capacity of over 100,000. 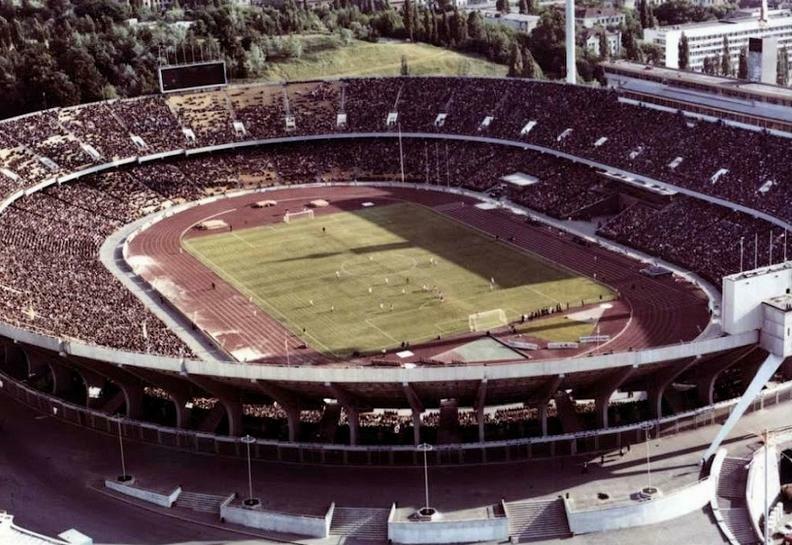 Further renovations followed before the 1980 Moscow Olympics, during which the stadium hosted a series of matches in the football tournament. In those decades the stadium went by the name Central Stadium, but this was changed in 1996 to Olympic Stadium (referring to the 1980 Olympics). 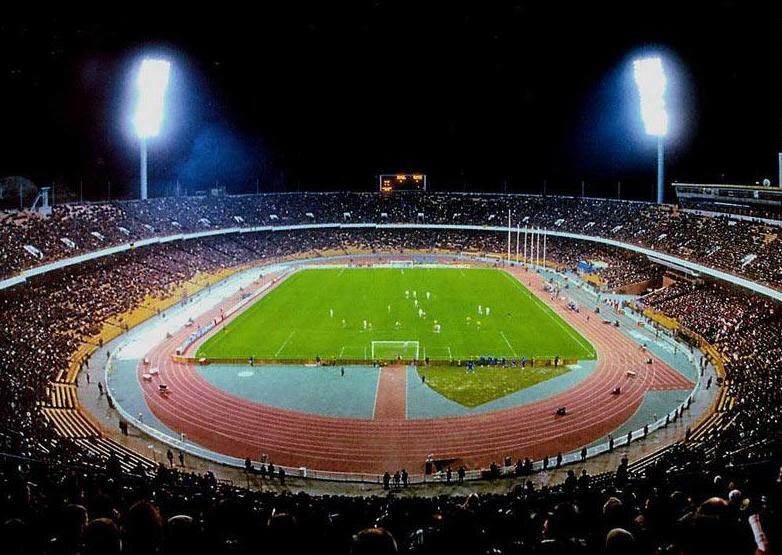 Two years later the stadium underwent a refurbishment and new seats were installed, which reduced capacity to about 83,000. 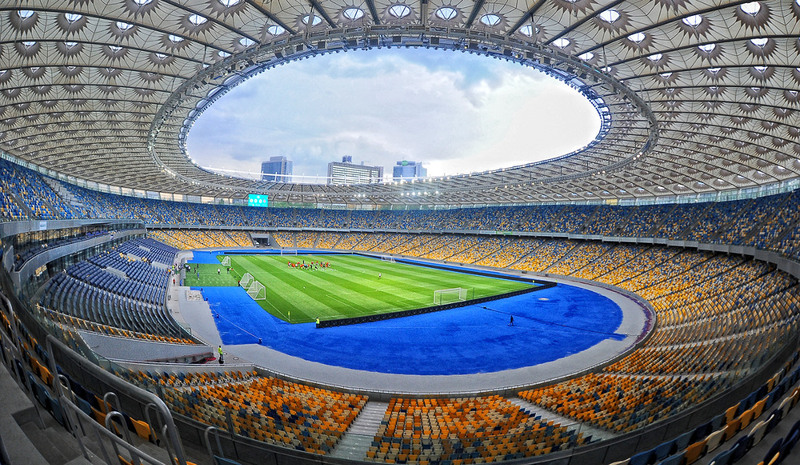 When the Olimpiyskiy got selected to host the Euro 2012 final, another major round of redevelopment works was required, which included the complete reconstruction of the first tier, the rebuilding of the entire West Stand, and the installation of a roof on the previously uncovered stadium. 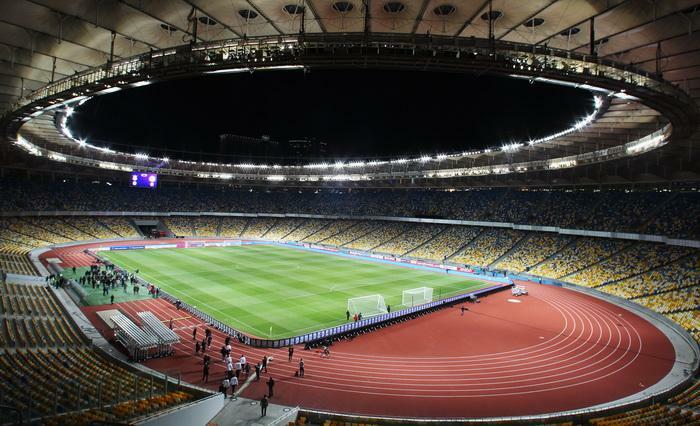 During the Euro 2012 Championships, the stadium hosted three group matches, a quarter-final, and the final between Spain and Italy (4-0). 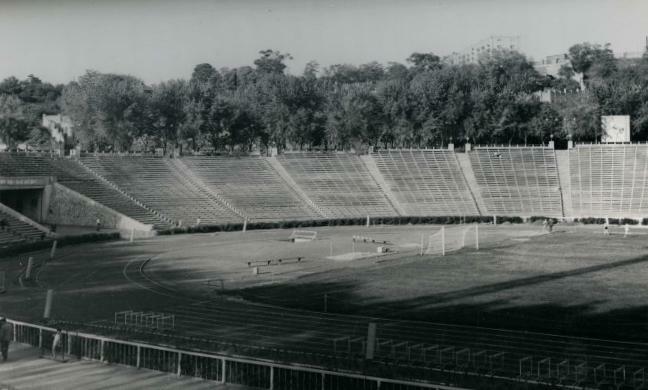 Until then, Dynamo Kiev had only used the Olimpiyskiy for European cup matches, using the smaller Lobanovskyi Stadium for their league matches. 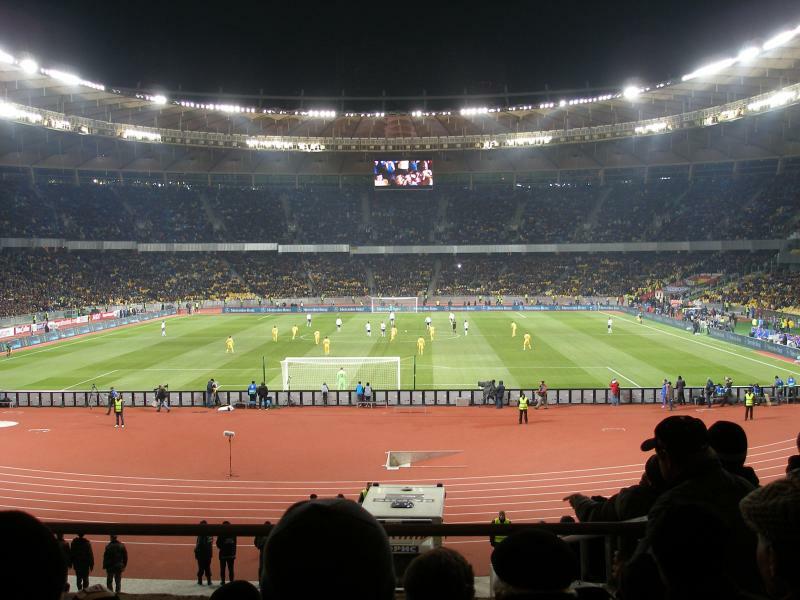 They initially were unsure whether to completely move into the new Olimpiyskiy, but were in the end successfully lured and played their first league match at the renovated stadium on 4 March 2012 against Arsenal Kiev (1-0). 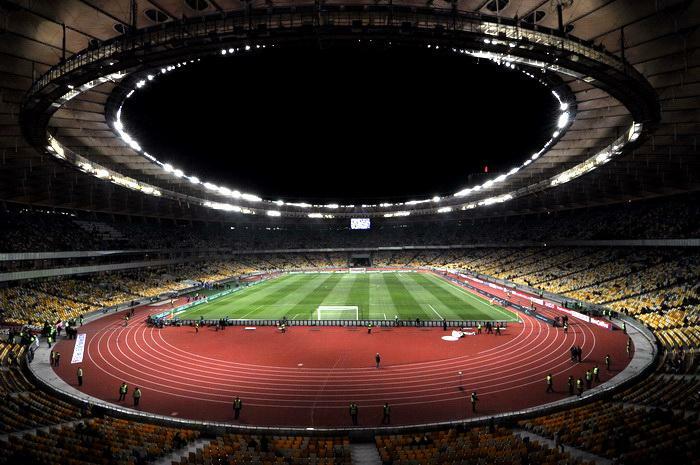 NSC Olimpiyskiy has been selected to host the 2018 Champions League final. The NSC Olimpiyskiy lies in central Kiev, slightly less than 3 kilometres east from Kiev’s main railway station, and under 2 kilometres from the central Independence Square (Maydan Nezalezhnosti). The nearest metro stations are Olimpiys’ka (ст. Олімпійська ) on the blue line, and St. Palats Sportu (ст. Палац Спорту) on the green line. Both lie a 5-minute walk from the ground. Alternatively, bus 69 and trolleybus 3 and 40 can be used to reach the stadium. 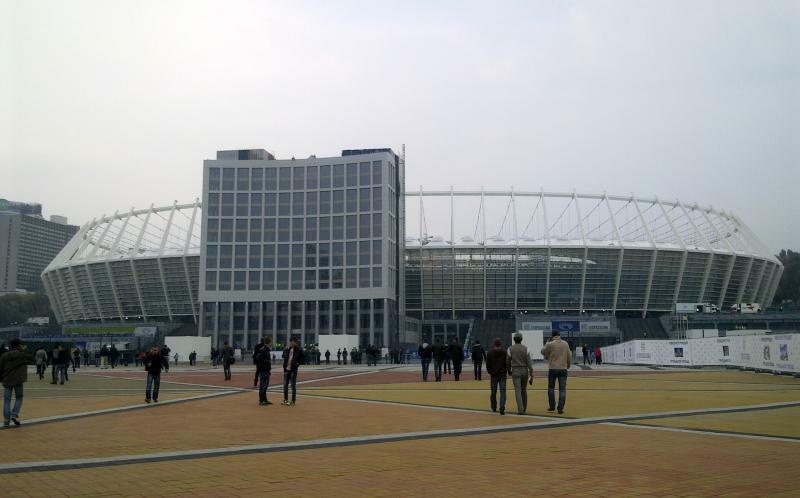 The NSC Olimpiyskiy’s central location makes that there a many options to eat and drink in the vicinity of the stadium. There are various bars and cafés in the area just north of the stadium, and a few hundred metres further starts Khreschatyk Street, the main drag of Kiev’s city centre , which is lined with shops, bars, and restaurants. The area around the Olimpiyskiy is filled with hotels, hostels, and apartment rentals. The large Rus Accord Hotel is located right next to the stadium and gets decent reviews. Toward the west of the stadium there are some cheaper hostels and a few apartment rental options. North of the stadium, toward Khreschatyk Street, Nelly Hotel, Deluxe Hotel, and Royal Hotel de Paris are some reasonable options, whereas the Premier Palace Hotel is the upscale alternative. However, renting an apartment is generally better value than a hotel in Kiev. For all hotels near the NSC Olimpiyskiy click here. The area further west toward the main railway station and botanical garden tends to be somewhat cheaper though. Click here to see the options. 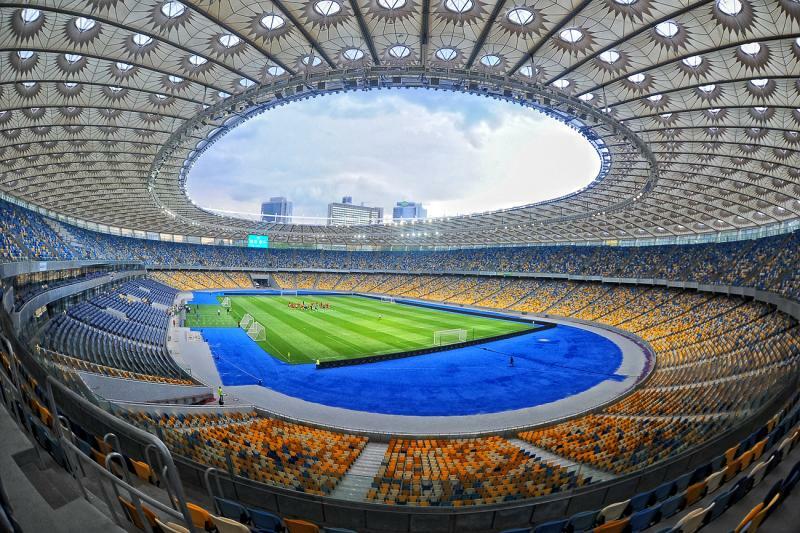 Tickets for Dynamo matches can be bought online, at the box office at the NSC Olimpiyskiy, or at the offices of Dynamo’s old Lobanovskyi Stadium (located in the city centre on the banks of the Dnipro river). Ticket prices range from UAH 10.00 for a seat at the lower-tier behind the goal to UAH 250.00 for a central seat at the main stand. Fcdynamo.kiev.ua – Official website of FC Dynamo Kiev. NSC-olimpiyskiy.com.ua – Official website of the NSC Olimpiyskiy. Metro.kiev.ua – Website of the Kiev metro. I went to watch Dynamo against Besiktas in the Champions League. Metro station is just outside the stadium. As you walk out you get to the ticket office. Prices are very cheap and you get a lot of people standing outside selling their tickets even cheaper. You may struggle with communication as English is not widely spoken. The stadium itself is very modern and beautiful. You can get the cheapest ticket and seat anywhere as there is no one checking and you can move freely around the stadium. Attendance on the day was low with only 14000 spectators. There was also some trouble between both sets of supporters, but that has nothing to do with the stadium itself. Well worth a visit.